Jose Aldo is likely to stay on the UFC 237 card. 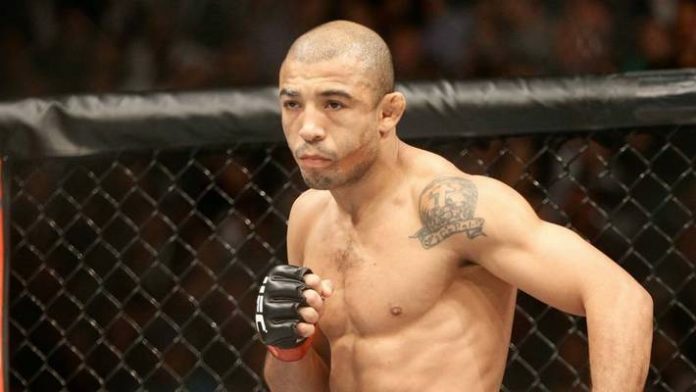 Late last week, news broke that Aldo was hospitalized in Brazil. This was due to a bacterial infection. Combate reported the news and at the time said that Aldo’s hospitalization put his May 11 bout with Alex Volkanovski at risk. In a positive update, Aldo has been released from the hospital and his bout with Volkanovski is still on. Aldo competed last month against Renato Moicano. He earned a second-round TKO victory to pick up his second-straight win. In the bout prior to his clash with Moicano, Aldo finished Jeremy Stephens in the opening frame. Aldo plans to retire by the end of 2019 and his farewell tour has been a violent one thus far. If Jose Aldo shows up 100 percent at UFC 237, does he beat Alex Volkanovski?